It’s not just me that loves a mix of ethnic and eclectic, patterned and plain it seems. 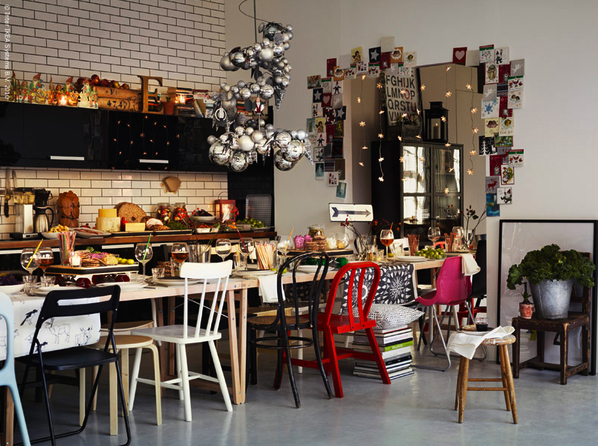 IKEA have also embraced the boho chic look. Against a white background palette they have added some bright confident hues and a mish mash of styles to liven up the mix. 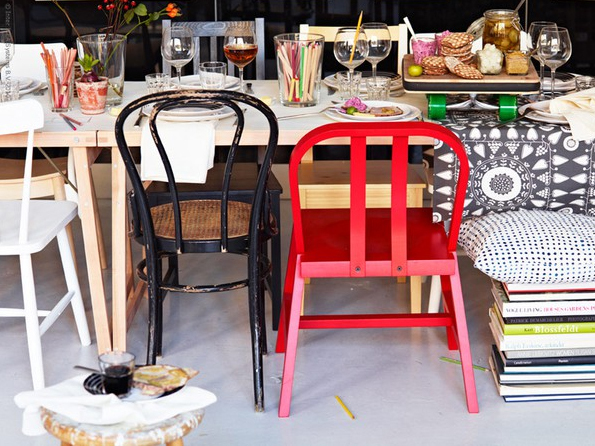 This is IKEA’s take on holiday entertaining – chairs are brilliantly mixed and matched, even a heap of magazines is turned into an extra impromptu seat with a cushion plopped on top. Instead of slavishly following the clichés of modern Scandi design they have styled this set up in such a way that the room feels like part of an actual home. It’s messy and chaotic but in the best possible way way. Packed with personality and full of stuff which has been artfully placed to look like it’s just been causally thrown onto surfaces. Might look carefree but ironically it’s really tricky to make it look so effortless! Couldn’t have put it better myself! Enjoy entertaining and a very happy Thanksgiving to those of you Stateside.